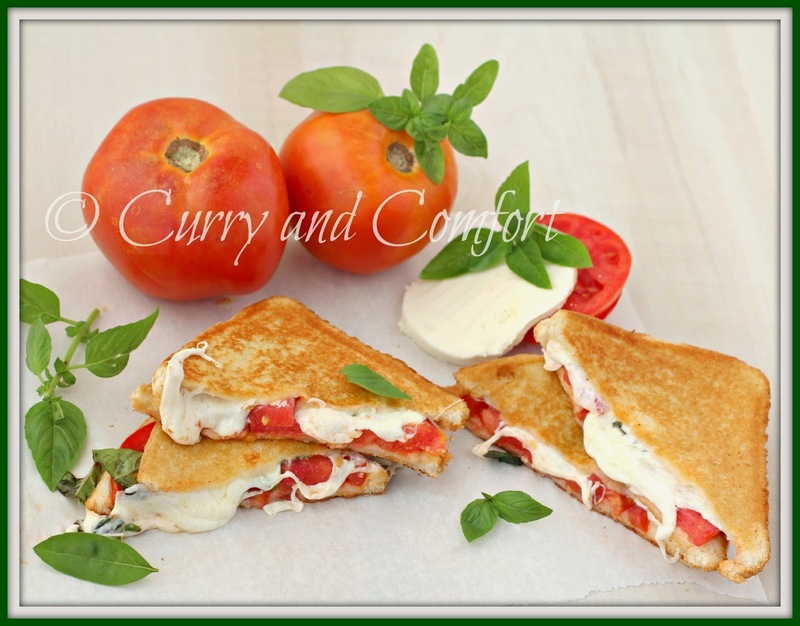 I'm still on a tomato kick here so I decided to make Caprese Grilled Cheese sandwiches. 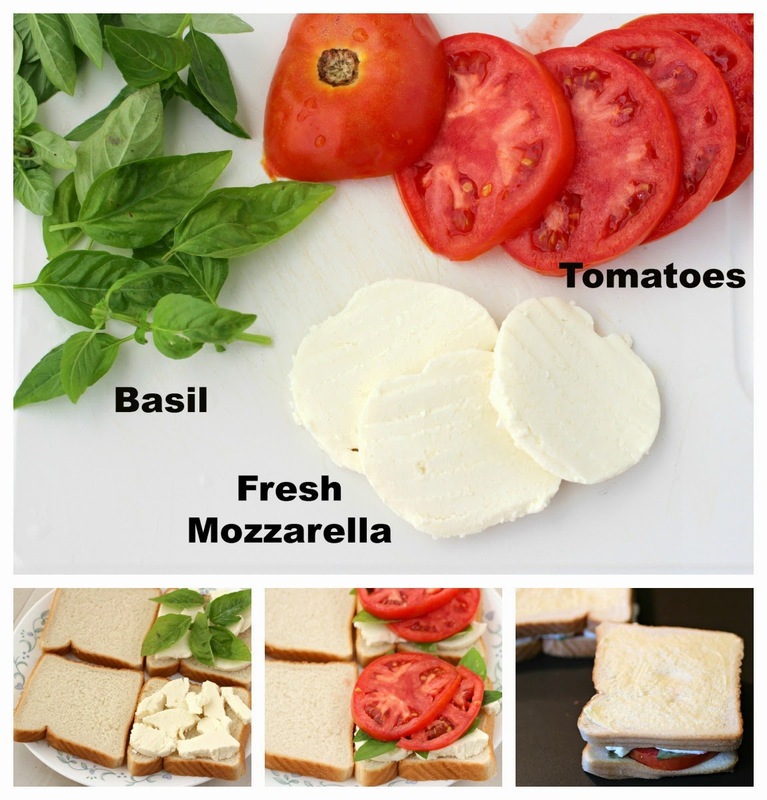 Caprese is basically the combination of tomatoes, basil and mozzarella cheese. I made these sandwiches taste extra special by making the butter for the grilled cheese garlicky so it tasted like garlic bread. It's a fantastic and delicious way to use up the bounty of tomatoes and basil I have in my kitchen. You see that mozzarella cheese so gorgeously melted... I couldn't wait to finish taking the photos so I could grab one of these gooey sandwiches. 1st lay the tomatoes on a paper towel and sprinkle with a little salt. Allow to sit for 10-15 minutes and then blot with paper towel. This step helps draw out the moisture so it doesn't make your sandwich soggy. 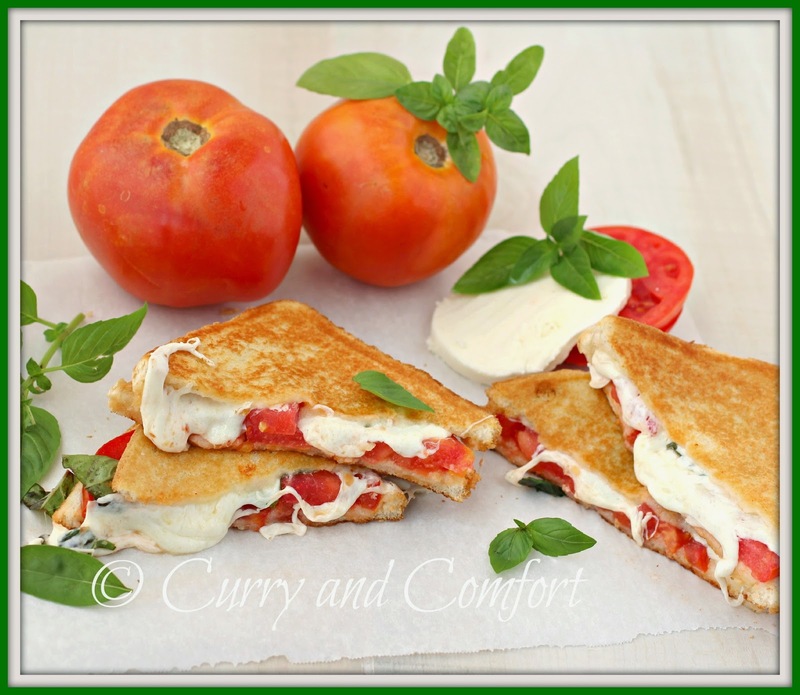 Next layer the fresh mozzarella cheese, basil and tomatoes between two slices of bread. Mix the butter and garlic powder and spread on the outside of the sandwich. Place on a nonstick pan on medium (or medium low) heat. Allow bread to become golden on one side and flip over. Serve when bread is toasted on both sides and the cheese is melted. Eat while cheese is still warm. Enjoy. I literally just sat staring at the picture for like 20 seconds...that looks SOO good. Oh my goodness, melted mozzarella grilled cheese. This looks like something I should make this morning. Or maybe I can wait until lunch! 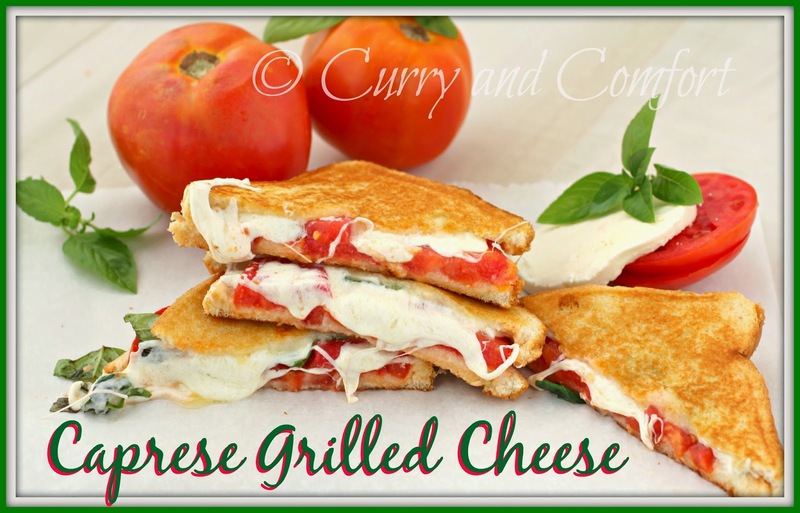 Ooooo a caprese grilled cheese does sound lovely right about now. It's grey and rainy and my lunch sandwich was lame. Not at all like your awesome grilled cheese! Wow! I'm reading this at 2 in the morning and I have to tell you, Ramona, I want to go down to the kitchen made some of these sandwiches right now! Gooey perfection!